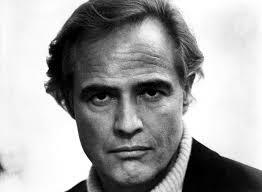 Born in Omaha, Brando moved to New York City in 1943 to study acting at the famed Dramatic Workshop of Stella Adler. Here he imbibed his first lessons in “the method,” an approach to acting first developed by the Russian Konstantin Stanislavski, by which an actor learns actually to feel the emotions he wishes to portray. The following year he made a successful Broadway debut in I Remember Mama, then in 1947 gained national attention with his electrifying portrayal of Stanley Kowalski in Tennessee Williams’s A Streetcar Named Desire and repeated his role on screen in 1951. From this point on, he was generally considered the most influential actor of his generation.